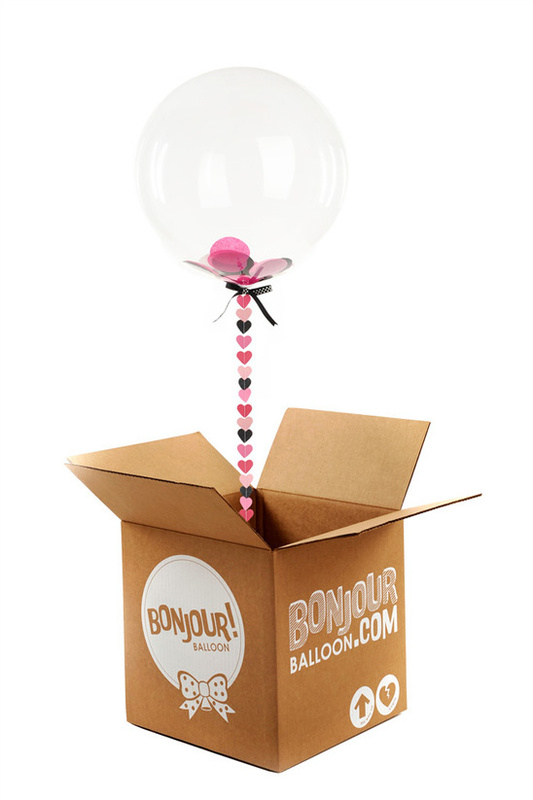 True fact, if you send someone a box and a super cute balloon flies out of it, you are guaranteed to get a smile. Well ... from us at least. 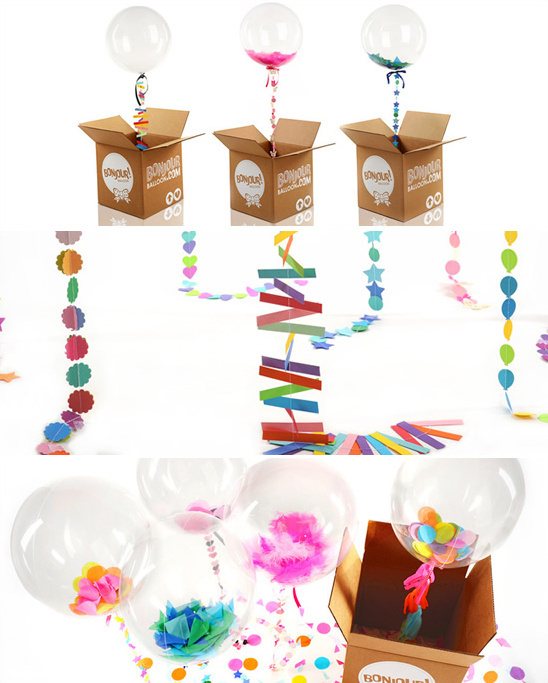 As you can see, Bonjour Balloons are no ordinary balloons, they are clear balloons stuffed with colorful confetti and feathers. Way cute ... right? 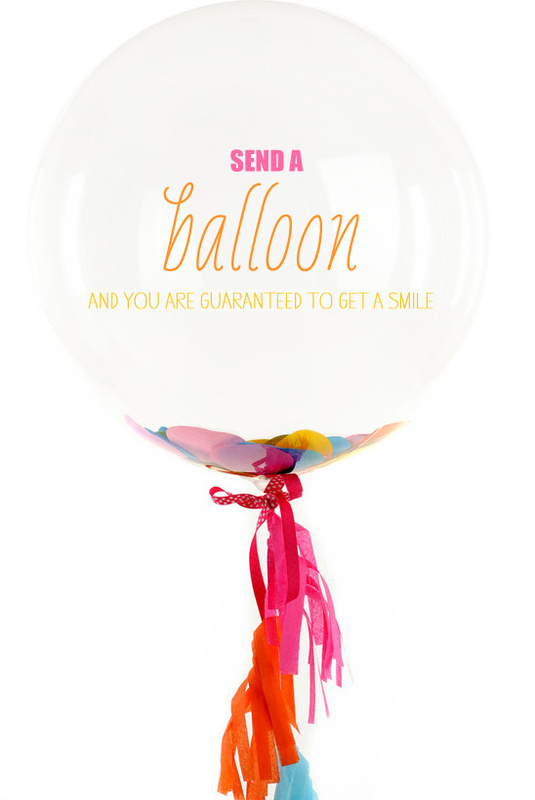 To make them even cuter, each balloon comes with a hand-crafted "tail" that gives the balloon character and charm. These were so cute we just had to share. A Bonjour Balloons is 15" in diameter and it has a handmade tail that is 1 yard long and will stay afloat between 5 to 10 days. After that time period, your Bonjour Balloon won't float as high as previously. Such a super fun gift to receive in the mail. Congratulate someone on their engagement or ask your bestie to your bridesmaid. You can attach a little note. Super cute!